Buy New Flats Behala, Kolkata Merlin Group Merlin Trinoyoni new flat price rate costs charges 1 BHK Flat 2 BHK 3 BHK Flat Rooms size area Merlin Trinoyoni flats booking online, Behala, Kolkata Merlin Trinoyoni Buy Flat details of Merlin Trinoyoni Behala, Kolkata housing project, Property & Real Estate information, 1BHK 2 BHK Flat Size Price & Facilities of Merlin Trinoyoni Flats in Behala, Kolkata. Merlin Trinoyoni at Behala, Kolkata has given the opportunity to the people of Kolkata and across Bengal to buy new flat at Behala, Kolkata of Merlin Group Real Estate Company. Those who are looking for New Property / Flat / House nearby Behala Thana, Sarsuna, Tram Depot, Sealpara, Thakurpukur, Joka areas of South Kolkata at cheap price rate; can now contact the head office of Merlin Group to book new flat of Merlin Trinoyoni, Behala, Kolkata. Let’s check out more details on Merlin Trinoyoni, Behala, Kolkata. • Features Facilities & Advantages of Merlin Trinoyoni Housing Project, Behala, Kolkata: - Jogging Track, Lift Service, Swimming Pool, Lush green landscaped lawn, community hall, gymnasium, children’s play area, CCTV for Security reasons, video door phone for security safety, 24-hours water supply, 24-hours power backups, and many other common facilities are available at Merlin Trinoyoni, Behala, Kolkata Housing Apartments of Merlin Group. • Merlin Trinoyoni Behala, Kolkata Flat Size, Price / Rate / Costs / Charges: - There are several types of flats are available at Merlin Trinoyoni like 1-BHK flat, 2-BHK flat, 3-BHK flat etc and the Merlin Trinoyoni Flat price at Behala, Kolkata are varies depending on the Flat Size. 2 BHK Flat (Apartment) size is around 850 sq. ft.There are total of 200 Flats available in 11 Towers (G+4 Buildings) in Merlin Trinoyoni Residential Complex of Behala. Apartment / Flat price starts only from 23.50 Lakhs at Merlin Trinoyoni, Sarsuna, Behala. Finance and Bank Home Loan facility from SBI & HDFC is available at Merlin Trinoyoni Housing Project for the buyers. 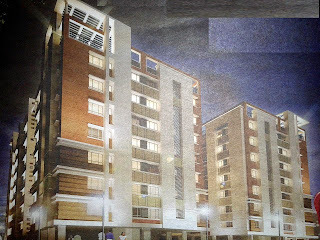 • Merlin Trinoyoni Housing Project Site Address / Location: - Sarsuna, Behala, Kolkata. Merlin Trinoyoni Housing Complex is just 10 minutes from proposed Metro Station at Behala Chowrasta and well connected by bus routes like 18C, 18A/1 etc. • Merlin Group Head Office Address: - Merlin Oxford, 2nd Floor, 22 Prince Anwar Shah Road, Kolkata-33. • Merlin Group Head Office Phone Contact Number: - 033-4015-4545, 9830725500. • Merlin Group website: - www.merlinprojects.com. • Flat Booking Process at Merlin Trinoyoni, Behala, Kolkata: - 2 BHK Flats are ready to move; so please contact Merlin Group as soon as possible over phone or simply by visiting their office. You may also email your queries at sales@merlinprojects.com. It is recommended to the peoples, who want to buy flats at Behala, Kolkata (or nearby areas like Behala Chowrasta, Sakher Bazar, Thakurpukur, Dakshin Behala, Joka), to contact Merlin Group as soon as possible to fill-out new flat booking forms of Merlin Trinoyoni of Behala, Kolkata or to know whether any discount / offer is going on new Merlin Trinoyoni flat prices at Behala, Kolkata. Buy New Flats Behala, Kolkata Merlin Group Merlin Crest new flat price rate costs charges 1 BHK Flat 2 BHK 3 BHK Flat Rooms size area Merlin Crest flats booking online, Behala, Kolkata Merlin Crest Buy Flat details of Merlin Crest Behala, Kolkata housing project, Property & Real Estate information, 1BHK 2 BHK Flat Size Price & Facilities of Merlin Crest Flats in Behala, Kolkata. Merlin Crest at Behala, Kolkata has given the opportunity to the people of Kolkata and across Bengal to buy new flat at Behala, Kolkata of Merlin Group Real Estate Company. Those who are looking for New Property / Flat / House nearby Joka, Thakurpukur, Behala Silpara, Sakherbazar, Behala Chowrasta areas of South Kolkata on D.H. Road at cheap price rate; can now contact the head office of Merlin Group to book new flat of Merlin Crest, Behala, Kolkata. Merlin Crest Housing Complex project at Behala, Kolkata is a combination of Class, Comfort & Convenience. Let’s check out more details on Merlin Crest, Behala, Kolkata. • Features Facilities & Advantages of Merlin Crest Housing Project, Behala, Kolkata: - Well equipped AC Gymnasium, AC Indoor Games room, Roof Top Garden with Children’s play corner, AC Banquet Hall, optimum DG Backup, fully automated elevators, 24x7 Security Surveillance, 24-hours water supply, 24-hours power backups, and many other common facilities are available at Merlin Crest, Behala, Kolkata Housing Apartments of Merlin Group. Moreover, Merlin Crest Housing Complex of Behala is surrounded by popular wellness centers, educational institutions, banks, markets and entertainment zones (Movie Theatre, Malls etc.) on Diamond Harbor Road and stone throwing distance. 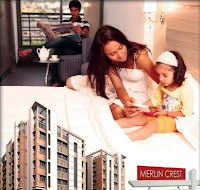 • Merlin Crest Behala, Kolkata Flat Size, Price / Rate / Costs / Charges: - There are several types of flats are available at Merlin Crest like 1-BHK flat, 2-BHK flat, 3-BHK flat etc and the Merlin Crest Flat price at Behala, Kolkata are varies depending on the Flat Size. Finance and Bank Loan facility is available at Merlin Crest Housing Project for the buyers. The price of Premium 3-BHK Apartments at Merlin Crest Housing project of Behala (Kolkata) is starting from 62 lakhs only. Home Loan arrangement from SBI & HDFC Bank can be done by the developers’ side. • Merlin Crest Housing Project Site Address / Location: - Diamond Harbour Road, Near Behala Silpara More, South Kolkata. Behala’s Merlin Crest Housing Complex is well connected by Metro (Shakherbazar Metro Station), Train (Majherhat Station), Bus & Cabs on D.H. Road and James Long Sarani. • Merlin Crest Behala, Kolkata Real Estate Project Phone contact number: - 033-4002-4002 / 98368-11111 / 9830725500. • Flat Booking Process at Merlin Crest, Behala, Kolkata: - The construction is going on in full swing; so please contact developer Merlin Group or Pioneer Property Management Ltd (sales@pioneerproperty.in) as soon as possible. It is recommended to the peoples, who want to buy flats at Behala, Kolkata (or nearby areas like Joka, Thakurpukur, Behala Sakherbazar, Sealpara, Behala Chowrasta areas on D.H. Road in South Kolkata), to contact Merlin Group as soon as possible to fill-out new flat booking forms of Merlin Crest of Behala, Kolkata or to know whether any discount / offer is going on new Merlin Crest flat prices at Behala, Kolkata. There are few more Housing Projects are going on by Merlin Group in Kolkata like Merlin Uttara at Konnagar, Merlin Vasundhara at Behala Sealpara and Merlin Trinoyoni at Behala Sarsuna. You may call 9830725500 phone number to get details on these real estate projects of Merlin Group in Kolkata. Buy New Flats G.T. Road, Konnagar Merlin Group Merlin Uttara new flat price rate costs charges 1 BHK Flat 2 BHK 3 BHK Flat Rooms size area Merlin Uttara flats booking online, G.T. Road, Konnagar Merlin Uttara Buy Flat details of Merlin Uttara G.T. Road, Konnagar housing project, Property & Real Estate information, 1BHK 2 BHK Flat Size Price & Facilities of Merlin Uttara Flats in G.T. Road, Konnagar. Merlin Uttara at G.T. Road, Konnagar has given the opportunity to the people of Kolkata and across Bengal to buy new flat at G.T. Road, Konnagar of Merlin Group Real Estate Company. Those who are looking for New Property / Flat / House nearby Uttarpara, Hind Motor, Konnagar, Rishra area on G.T. Road in Hooghly district at cheap price rate; can now contact the head office of Merlin Group to book new flat of Merlin Uttara, G.T. Road, Konnagar. 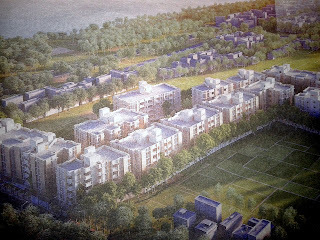 Merlin Uttara Housing Complex on G.T. Road at Konnagar (Hooghly), spread over 4 acres, is the ultimate place to live beside River Ganga. Let’s check out more details on Merlin Uttara, G.T. Road, Konnagar. • Features Facilities & Advantages of Merlin Uttara Housing Project, G.T. Road, Konnagar: - Indoor Games Room, Children’s Play Area, AC Gymnasium, Community Hall, Landscaped Greenary, Residents’ Club with Swimming Pool, Lift, Temple inside the complex, 24-hours water supply, 24-hours power backups, and many other common facilities are available at Merlin Uttara, G.T. Road, Konnagar Housing Apartments of Merlin Group. Merlin Uttara Housing Complex of Konnagar located beside River Ganga; so you will be lucky to enjoy natural cool Ganga’s breeze. Project Site is open every day for having a visit to see. So, without wasting much time, please have a visit. • Merlin Uttara G.T. Road, Konnagar Flat Size, Price / Rate / Costs / Charges: - There are several types of flats are available at Merlin Uttara like 1-BHK flat, 2-BHK flat, 3-BHK flat etc and the Merlin Uttara Flat price at G.T. Road, Konnagar are varies depending on the Flat Size. Finance and Bank Loan facility is available at Merlin Uttara Housing Project for the buyers. There are 2, 3, & 4 BHK flats (apartments) measuring 726 sq. ft to 1606 sq. ft. in size. Konnagar’s Merlin Uttara Housing Complex project is approved by State Bank Of India (SBI), LIC & all other leadingNational / Private Banks; Home Loan can be arranged. • Merlin Uttara Housing Project Site Address / Location: - 94/6K & 94/7K, G.T. Road, Near Dharsa Petrol Pump, Konnagar, Hooghly, West Bengal. No issues with the location of Merlin Uttara Housing Complex of Konnagar as it’s on G.T. Road and has Cab, Auto, Bus & Toto services. Dakshineswar Temple is only 20 minutes way, Konnagar Station is only 7 minutes and Kolkata Airport is only 30 minutes way from Konnagar’s Merlin Uttara Housing Complex. So, it’s well connected by Road, Train and also by Ferry Service (Konnagar Ferry Ghat). • Merlin Uttara G.T. Road, Konnagar Real Estate Project Phone contact number: - 8100464646. • Merlin Group Head Office Phone Contact Number: - 033-4015-4545. • Flat Booking Process at Merlin Uttara, G.T. Road, Konnagar: - Merlin Group has announced special Baisakhi Offer of model ready Flats of Konnagar’s Merlin Uttara project and that is getting AC & LED TV Free on Flat Booking. It is recommended to the peoples, who want to buy flats at G.T. Road, Konnagar (or nearby areas like Uttarpara, Kotrung, Hindmotor, Konnagar in Hooghly district), to contact Merlin Group as soon as possible to fill-out new flat booking forms of Merlin Uttara of G.T. Road, Konnagar or to know whether any discount / offer is going on new Merlin Uttara flat prices at G.T. Road, Konnagar. Buy New Flats Konnnagar Merlin Group Merlin Uttara new property flat price rate costs charges 2 3 BHK Rooms size area Merlin Uttara flats booking online, Konnnagar Merlin Uttara Buy Flat details of Merlin Uttara Konnnagar housing project. Merlin Uttara at Konnnagar has given the opportunity to the people of Kolkata and across Bengal to buy new flat at Konnnagar of Merlin Group Real Estate Company. Those who are looking for New Property / Flat / House nearby Uttarpara, Hindmotor, Bhadrakali, Rishra, Konnagar areas of Hooghly district at cheap price rate; can now contact the head office of Merlin Group to book new flat of Merlin Uttara, Konnnagar. 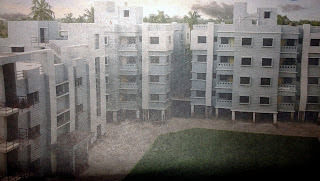 Lift Service, Swimming Pool, Lush green landscaped lawn, community hall, gymnasium, children’s play area, CCTV for Security reasons, video door phone for security safety, 24-hours water supply, 24-hours power backups, and many other common facilities are available at Merlin Uttara, Konnnagar Housing Apartments of Merlin Group. Location advantage of Merlin Uttara Residential project of Konnagar – Dakshineswar Metro Station is only 20 minutes away, Howrah Railway station only 25 minutes away, Konnagar Railway station only 7 minutes away and Kolkata Airport only 30 minutes away. There are several types of flats / accommodations are available at Merlin Uttara like 2-BHK, 3-BHK, 4-BHK Rooms etc and the Merlin Uttara flat price at Konnnagar are varies depending on the Flat Size. Finance and Bank Loan facility is available at Merlin Uttara Housing Project for the buyers. The flat sizes of Merlin Uttara Residential Complex of Konnagar are around 726-1606 sq. ft. and the price starts from Rs.22 lacs. 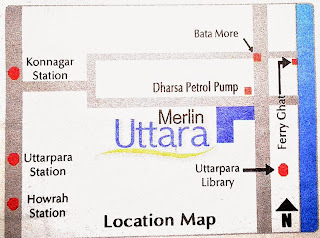 Merlin Uttara Housing Project Site Address: - 94/6K & 94/7K, G.T. Road, Near Dharsa Petrol Pump, Konnagar, Uttarpara, District: Hooghly. Merlin Group Head Office Address: - Merlin Oxford, 2nd Floor, 22 Prince Anwar Shah Road, Kolkata-33. Merlin Group Head Office Phone Contact Number: - 033-4015-4545 / 98307-25552 / 98307-25500. Merlin Group website: - www.merlinprojects.com. It is recommended to the peoples, who want to buy flats at Konnnagar (or nearby areas like Konnagar, Uttarpara, Hindmotor, Serampore), to contact Merlin Group as soon as possible to fill-out new flat booking forms of Merlin Uttara of Konnnagar or to know whether any discount / offer is going on new Merlin Uttara flat prices. Buy New Flats Behala Kolkata Merlin Group Merlin Crest new property flat price rate costs charges 1 2 3 BHK Rooms size area Merlin Crest flats booking online, Behala Kolkata Merlin Crest Buy Flat details of Merlin Crest Behala Kolkata housing project. Merlin Crest at Behala Kolkata, a premium 3 BHK Residential project, has given the opportunity to the people of Kolkata and across Bengal to buy new flat at Behala Kolkata of Merlin Group Real Estate Company. Those who are looking for New Property / Flat / House nearby Behala, Thakurpukur, Silpara, Sakherbazar areas of South Kolkata at cheap price rate; can now contact the head office of Merlin Group to book new flat of Merlin Crest, Behala Kolkata. Lift Service, Swimming Pool, Lush green landscaped lawn, community hall, gymnasium, children’s play area, CCTV for Security reasons, video door phone for security safety, 24-hours water supply, 24-hours power backups, roof top garden and many other common facilities are available at Merlin Crest, Behala Kolkata Housing Apartments of Merlin Group. Merlin Crest Residential project of Behala has excellent location advantages like ‘1 minute distance from Sakher Bazar Metro Station’, ‘Behala Chowrasta, Police Station, 3A Bus Stand, ESI Hospital are very near’ etc. There are several types of flats / accommodations are available at Merlin Crest like 2-BHK, 3-BHK Rooms etc and the Merlin Crest flat price at Behala Kolkata are varies depending on the Flat Size. Finance and Bank Loan facility is available at Merlin Crest Housing Project for the buyers. Merlin Crest Housing Project Site Address: - 7, Diamond Harbour Road, Near Behala Fire Station, Kolkata-. Merlin Group Head Office Address: - Merlin Oxford, 22 Prince Anwar Shah Road, Kolkata-33. Merlin Group Head Office Phone Contact Number: - 033-4015-4545 / 033-4002-4002. It is recommended to the peoples, who want to buy flats at Behala Kolkata (or nearby areas like Thakurpukur, Silpara, Sakherbazar, Behala), to contact Merlin Group as soon as possible to fill-out new flat booking forms of Merlin Crest of Behala Kolkata or to know whether any discount / offer is going on new Merlin Crest flat prices. Kolkata Buy New Flats Silpara Behala Kolkata Merlin Group Merlin Vasundhara new property flat price rate costs charges 1 2 3 BHK Rooms size area Merlin Vasundhara flats booking online Buy Flat Kolkata. Merlin Vasundhara at Silpara Behala Kolkata has given the opportunity to the people of Kolkata and across Bengal to buy new flats at Silpara Behala Kolkata of Merlin Group Real Estate Company. Those who are looking for New Property / Flat / Houses nearby Tram Depot, Thakurpukur, Silpara, Behala of South Kolkata at cheap price rate; can now contact the head office of Merlin Group to book new flats of Merlin Vasundhara, Silpara Behala Kolkata. Lift Service, Swimming Pool, Lush green landscaped lawn, community hall, gymnasium, children’s play area, CCTV for Security reasons, video door phone for security safety, 24-hours water supply, 24-hours power backups, and many other common facilities are available at Merlin Vasundhara, Silpara Behala Kolkata Real Estate Housing Apartments of Merlin Group. Just 7 minutes from proposed Metro Station, 10 minutes from ESI Hospital, 10 minutes from Vivekananda College, M.P. Birla School, 5 minutes from 18A Bus Stand – the location of Merlin Vasundhara is superb. There are several types of flats / accommodations are available at Merlin Vasundhara like 1-BHK, 2-BHK, 3-BHK Rooms etc and the Merlin Vasundhara flat price at Silpara Behala Kolkata are varies. Finance and Bank Loan facility is available at Merlin Vasundhara Housing Project for the buyers. 2/3 BHK flats ranging from 815 sq ft to 1258 sq ft.
• Merlin Vasundhara Housing Project Site Address: - Dakshin Behala Road, Silpara, Behala, Kolkata. • Merlin Vasundhara Silpara Behala Kolkata Real Estate Project Phone contact number: - 9830725500 / 9830725552. • Merlin Group Head Office Address: - Merlin Oxford, 22 Prince Anwar Shah Road, Kolkata-33. • Merlin Group Head Office Phone Contact Number: - 033-40154545. • Merlin Group email id: - sales@marlinprojects.com. It is recommended to the peoples, who want to buy flats at Silpara Behala Kolkata (or nearby area like Behala, New Alipur), to contact Merlin Group as soon as possible to know new Merlin Vasundhara flat prices and to Book Flats. Book your dream home online at www.merlinprojects.com website.